Orthognathic surgery is needed when the upper and lower jaws do not meet correctly. The jaws, also referred to as the mid and lower face, may not be of the same size, parallel and symmetric or a combination of these problems. Teeth are first decompensated and aligned on the jaws with orthodontics, then reconstructive facial surgery repositions the misaligned jaws. This not only improves facial appearance, but also ensures that teeth meet correctly and function properly. For more information about Jaw Surgery or to make an appointment with Dr. Kienle, Dr. Steinkeler or Dr. Gunawardena, please use our Contact Us form or call our office: Warminster Office Phone Number 215-672-6560. People who can benefit from jaw surgery include those with an improper bite or jaws that are positioned incorrectly. Jaw growth is a gradual process and, in some instances, the upper and lower jaws may grow at different rates. The result can be a host of problems that can affect chewing function, speech, long-term oral health, temporomandibular joint (TMJ) function, and appearance. An injury to the jaw and birth defects can also affect jaw alignment. Orthodontics alone can correct bite problems if the mid and lower facial segments are of the same size, parallel and symmetric. Orthognathic reconstructive surgery may be required if the jaws are not the same size, symmetric and/or parallel. Any of these can exist at birth or may be acquired after birth as a result of hereditary or environmental influences or trauma to the face. Before any treatment begins, a consultation will be held to perform a complete examination with x-rays, photos and computer work-up. Feel free to ask any questions that you have regarding your treatment plan during the pre-treatment consultation process. When you are fully informed about the aspects of your care, you and your health care team will make the decision to proceed with treatment together. Dr. Kienle, Dr. Steinkeler and Dr. Gunawardena use modern computer techniques and three-dimensional models to determine exactly how your surgery will be approached. Using comprehensive facial imaging and computer video imaging, we can treatment plan how your bite will be improved and even how you may look after surgery. 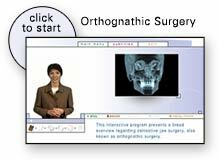 This may help you to understand the surgical process and the extent of the treatment prescribed, and to see the benefits of orthognathic surgery. Drs. Kienle, Steinkeler and Gunawardena use rigid fixation to precisely hold the reconstructed segments in their new position. This means that our patients’ jaws are never wired together. You are able to eat and speak after surgery. Rigid fixation allows for early function and a speedier recovery. If you are a candidate for Corrective Jaw Surgery, Drs. Kienle, Steinkeler and Gunawardena will work closely with your dentist and orthodontist during your treatment. The actual surgery can move your teeth and jaws into a new position that results in a more attractive, functional and healthy dental-facial relationship. This reviews section is in progress. Please visit the Patient Review Form page to leave a review about your Jaw Surgery experience with Kienle & Associates. Call our office if you would like more information: Warminster Office Phone Number 215-672-6560. After having to wait a year on another practice, I was eventually referred out to Dr. Kienle and looking back I couldn't be more happy with the turn of events. From the initial consultation date to post surgery, he is one of the most friendly, outgoing, and engaging doctors I've ever been seen by. Understanding the risks of double reconstructive jaw surgery, I wanted the best as everyone does. The issue seems to lie with the apparent trade off with procedural skills and personable mannerisms. That is most certainly not the case with Dr. Kienle. He is confident and knows when he has done great work, but never comes off as arrogant. Having Dr. Kienle exposed to recent techniques and literature regarding oral maxillofacial surgery, and his experience practicing makes him in my opinion one of the best in the area. I wasn't wired or banded shut, which an absolute wonderful surprises waking up post surgery. Thank you for everything. This is a magnificent practice that has provided me with exemplary service at each of my visits. The doctors are incredibly skilled at what they do, and I've never had any complications with any of the procedures I've had done. The doctors are also very nice and friendly and easy to talk to, and are very knowledgeable and passionate about what they do. 10/10 for sure.